When two individuals fall in love, their hearts come together or intertwine as one. 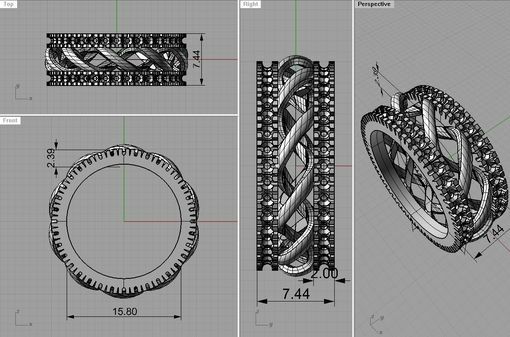 This collection represents the idea of 'Tying The Knot.' 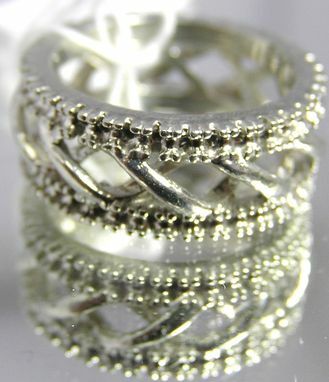 The metal in the band, just like the two hearts, 'twines' together… symbolizing the unity of love. It is a beautiful representation of love, commitment, and eternal devotion. 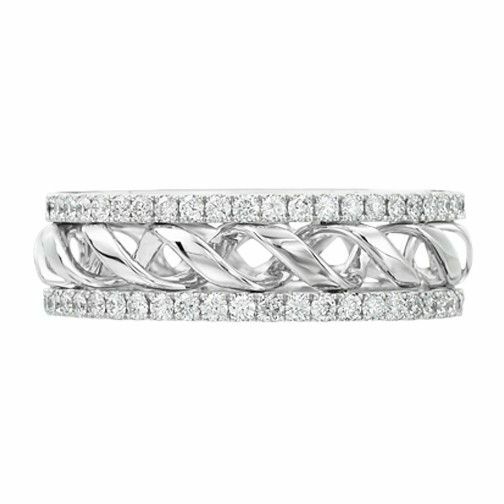 This 14 karat white gold Nadaré eternity wedding band features ninety-four round diamonds 0.94 tcw. Pavé set on the split band with a double helix in between. 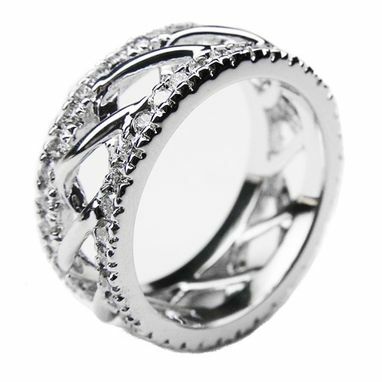 Available in platinum and yellow gold.